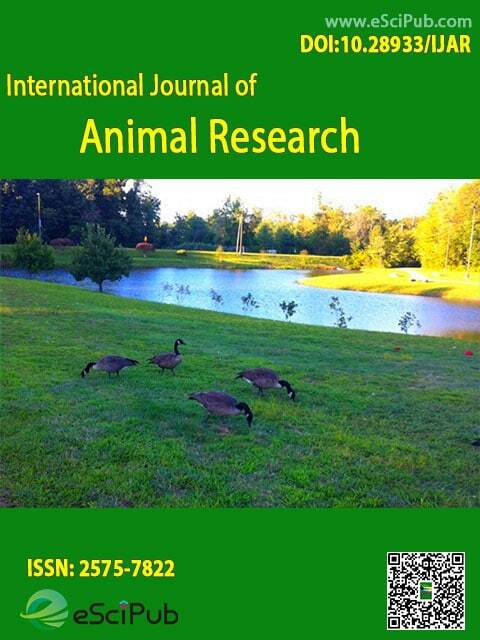 International Journal of Animal Research (ISSN:2575-7822; DOI: 10.28933/IJAR) is a peer reviewed open access journal publishing research manuscripts, review articles, editorials, letters to the editor in Animal Research. Is L-arginine or glucose dependence required for fetal growth, survival and maternal progesterone during late pregnancy in ewes? Professor, Artificial Insemination, Veterinary Gynecology and Andrology, Dept. of Surgery and Theriogenology, Coll. Vet. Med., Univ. of Mosul. Center for Nuclear Energy in Agriculture, University of São Paulo. Professor, Department of Applied Medical Sciences, College of Community (Unaizah), Qassim University, Kingdom of Saudi Arabia. Professor, Theriogenology, Faculty of Veterinary Medicine, Beni-Suef University, Egypt. Associate Professor & Head, Department of Veterinary Gynaecology & Obstetrics’, College of Veterinary And Animal Science, Navania-Udaipur, Rajasthan, India. Rajasthan University of Veterinary & Animal Sciences, Bikaner-334001, India. International Journal of Animal Research is a peer reviewed open access journal publishing research manuscripts, review articles, editorials, letters to the editor in Animal Research (Indexing information). Please submit your manuscript by the form below or send it to submit_manuscript@escipub.com (use "International Journal of Animal Research" as the email subject line).